After a short break for the recent international fixtures, domestic football returns this weekend and Juventus will be looking to extend their perfect start to the 2018/19 campaign. For the first time ever, the Bianconeri have started a season by winning their first 10 competitive games and they will hope to continue that streak when they welcome Genoa to Turin on Saturday evening. Their opponents have also begun this term brightly, but claiming four victories in seven rounds of Serie A action was seemingly not enough for President Enrico Preziosi. Bizarrely, the club owner decided to sack his Coach Davide Ballardini and replace him with Ivan Juric, slamming the former in an interview with the Corriere della Sera newspaper. "I consider him to be a terrible Coach, as in his career he was fired 13 times in 14 seasons," Preziosi said. "He is not capable of training a team from the start, he never makes that step up in quality. I am not interested in the points we have so far, because we need more. We’ve already conceded 13 goals in seven games and lost 3-1 at home to Parma, a team that I consider to be inferior to Genoa," added Preziosi. 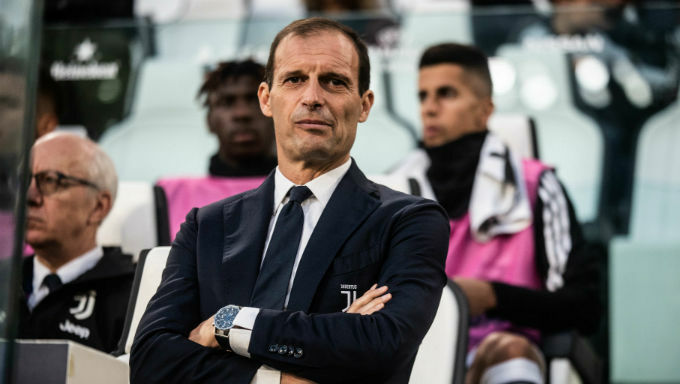 Whether that is true or not remains to be seen, but it is hardly ideal preparation for a visit to Juventus Stadium and Juric will now face an uphill battle as he tries to get the team ready for such a daunting challenge. While Genoa have recorded four wins thus far, Preziosi might have a point about them underperforming, their victories under Ballardini coming against Empoli, Chievo, Frosinone and Bologna, four of Serie A’s bottom five going into this weekend’s action. They will of course take heart in knowing that their last win over Juventus – a 3-1 triumph back in November 2016 – came with Juric at the helm, but it also came at the Stadio Luigi Ferraris in Genoa. Since then, they have lost four consecutive games to the Bianconeri by a scoreline of 11 goals to two and their record in Turin is even worse, losing on each of their last six visits to Juventus Stadium. As a result, the home side are overwhelming favourites to record yet another triumph at the expense of the Rossoblu, with a Juventus win available at just 1/5 with Bet Hard. The impressive nature of the Juventus defence needs little introduction, but their recent record against Genoa only serves to underline how solid they have been. In those last six home encounters with Saturday’s opponents, the Old Lady has failed to concede a single goal, racking up a clean sheet every single time. That she has done so whilst also scoring 11 times herself perhaps helps to find some value in this fixture, with Betfair offering a best price of 8/11 against both teams scoring, an outcome that looks extremely likely given those previous results. Having scored four goals in his first nine appearances for Juve, a lower ratio than his rate, bookmakers have raised their price on Cristiano Ronaldo finding the back of the net – and that allows some value in backing the Portuguese megastar to grab his next goal on Saturday. Where the odds usually make that poor value, Bet365 have Ronaldo at 2/1 to bag the first goal against Genoa, with his record early in matches supporting that idea. He has already opened the scoring twice for the Bianconeri after doing the same against Morocco at the World Cup and in the one pre-season friendly he played for Juventus this summer. However, anyone looking for even greater value might do well to look at Genoa’s Krzysztof Piatek who has scored 13 times in his first eight appearances for the Italian club. Also netting for Poland during the international break, the 23-year-old has been in sensational form every time he steps on the field. While it may be difficult to imagine Genoa getting a result, it might be worth considering Piatek who is available at 11/1 to score the first goal or 10/3 to net at any time with Bet365.